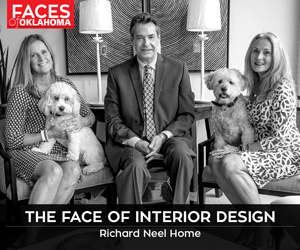 Less than a month after opening Rococo, his restaurant in Oklahoma City, chef Bruce Rinehart managed to form a friendship with a diner that has lasted more than 10 years. A family was dining at the restaurant and one of the guests, noticing a distinct New England touch to the menu, asked about the chef. When Rinehart went out the meet the family, he discovered he and the diner were both from New London, Connecticut. That sort of interaction has helped set the tone for Rinehart, who says the people he works with and meets every day are the most interesting part of his job as a chef. He calls Rococo a chef-driven restaurant, and says his chefs are known for being in the dining room and visiting with guests. 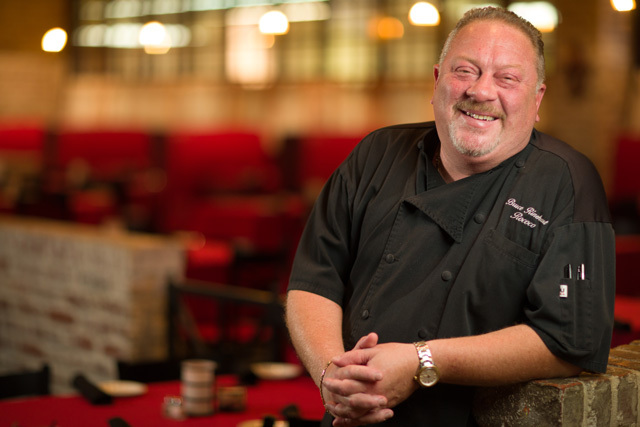 While some people may choose not to embrace that personal connection with their chefs, Rinehart says that is the minority of diners who visits his restaurant. While Rinehart enjoys interacting with the diners at Rococo, he puts an equal amount of love into the food served to them. His career as a chef started when he was 15 years old, on his own and in need of a job. He favors simple, fresh dishes – a result of growing up on the East Coast, where seafood comes straight from the ocean. To bring that fresh taste to Oklahoma, Rinehart has orders flown in three times a week. All of Rinehart’s work, as well as his love of meeting new people, helps him create an unpretentious atmosphere where people can get a salad, crab cakes or a veal chop along with a hug from the chef who cooked it.